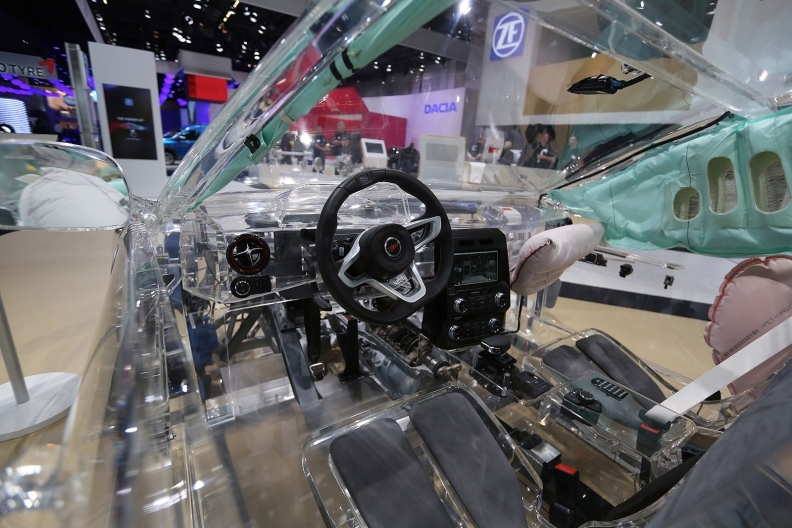 A transparent safety display vehicle on display at the ZF Friedrichshafen stand at the Frankfurt auto show in Sept. 2015. ZF remains acquisitive and earlier this year launched a $515 million takeover offer for Sweden's Haldex. FRANKFURT -- Germany's third-largest car parts maker, ZF Friedrichshafen, is preparing to sell its Body Control Systems unit in a potential $1 billion deal as it continues to shed non-core units following the takeover of TRW, people familiar with the matter said. ZF has asked banks to pitch for roles in the potential sale and is likely to mandate advisors later this month, the people added. The Body Control Systems unit makes electronic parts for the vehicle command and control such as switches, heating and air conditioning controls and displays, integrated electronic centre panels and modular steering column controls. The unit has annual earnings before interest, taxes, depreciation, and amortization of about $120 million and prospective buyers are likely to value it at about 8 times that, or up to $1 billion, the sources said. Privately held ZF Friedrichshafen declined to comment. ZF acquired U.S.-based TRW in 2015 for $12.4 billion, financing the takeover mainly with debt, and lifting its borrowings to a current total of 19 billion euros. ZF, which expects annual sales of about 35 billion euros ($39 billion) this year, has since divested smaller units such as its Engineered Fasteners and Components, which it sold to Illinois Tools Works for $450 million earlier this year. At the same time, ZF remains acquisitive and earlier this year launched a $515 million takeover offer for Sweden's Haldex.